But let’s talk briefly first about Acne Clear. 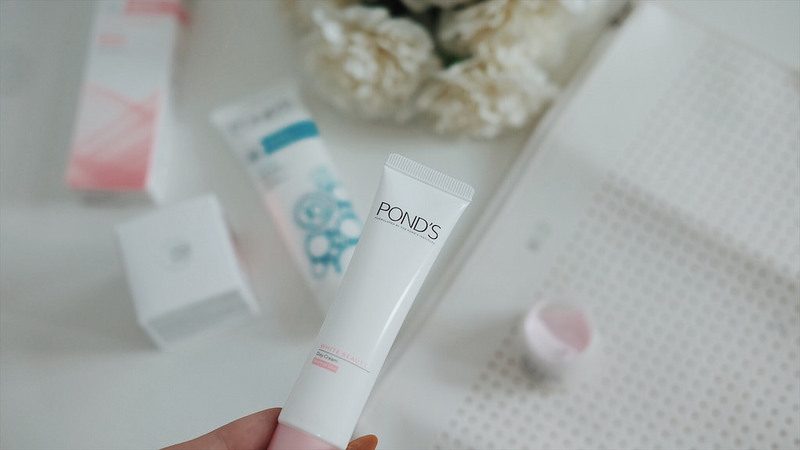 I’ve detailed this technology in this post-event of the launch a few years ago, and I use these once a week to remove my dead skin cells and it has been working in that routine becauseI just get occasional acne in my age. To me, it seems like this product is so hardworking to penetrate deep and reflect it outside. I’ll be doing some first impressions review on this one using the swatches I have below with Age Miracle. 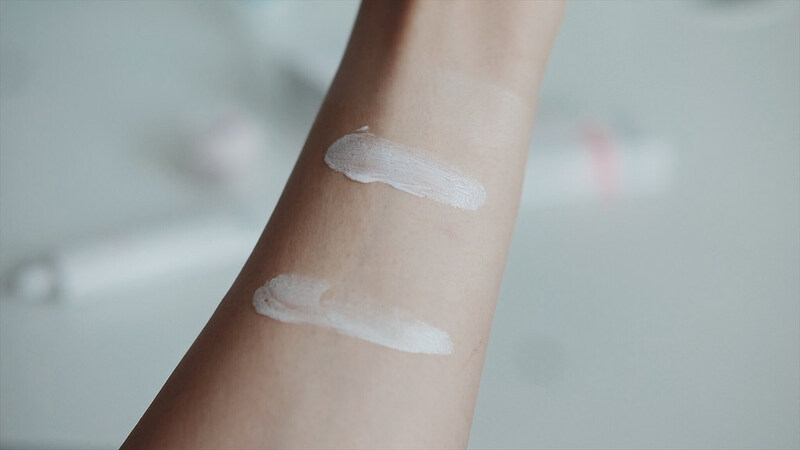 Since both are day creams or moisturizers, an arm swatch could be done. Below shows how at first, they look thick. Upper one is the White beauty which looks “marshmallowey” which is kinda trendy in skin care where bouncy formulations are seen better for absorption. 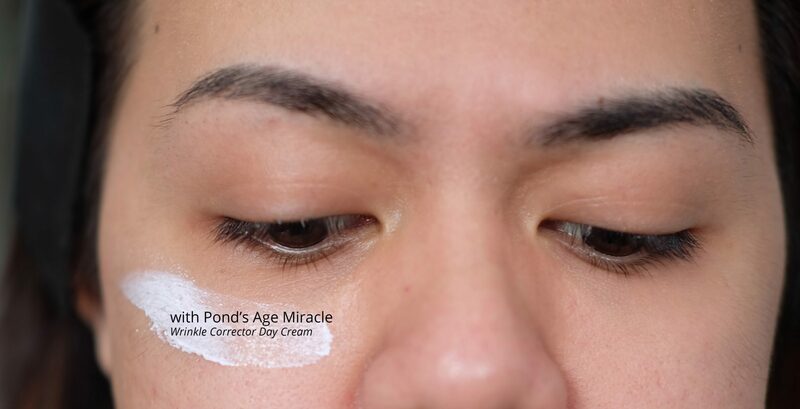 Age Miracle is more like the typical day cream we would see. 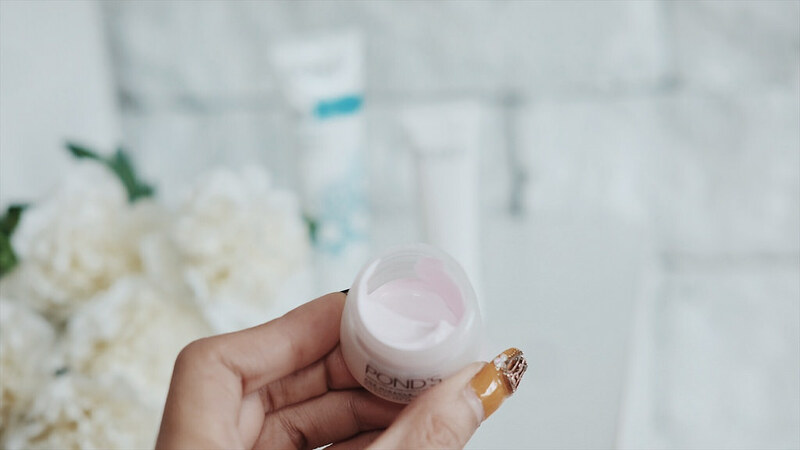 But, what surprised me is that it actually gave an illuminating effect on the skin which is cool for an anti-wrinkle product – it will save you a good highlight already. It feels soft, blends and absorbs easily with even application/consistency. 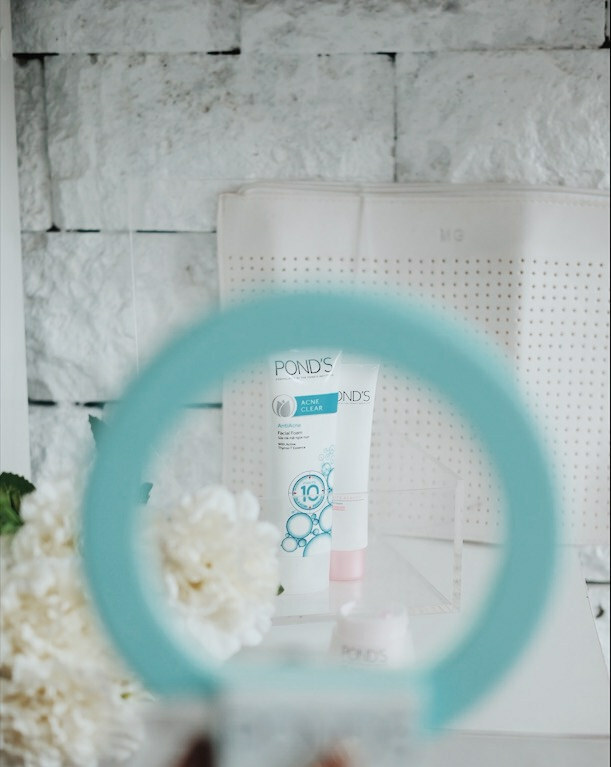 The scent is less strong that the other Pond’s products Ive used which is nice. On the other side of my face, I put the White Beauty cream. Upon first application, it kinda is streaky with residues but Im really impressed with what followed after some blending and drying. It gave a brightened matte yet soft-to-touch effect on the skin. It also was YES, rosy and is just perfect for any prepping of skin for makeup. Versus Age Miracle which is dewy (which I think is needed for that purpose), I like how all these resulted after 5-10 minutes. 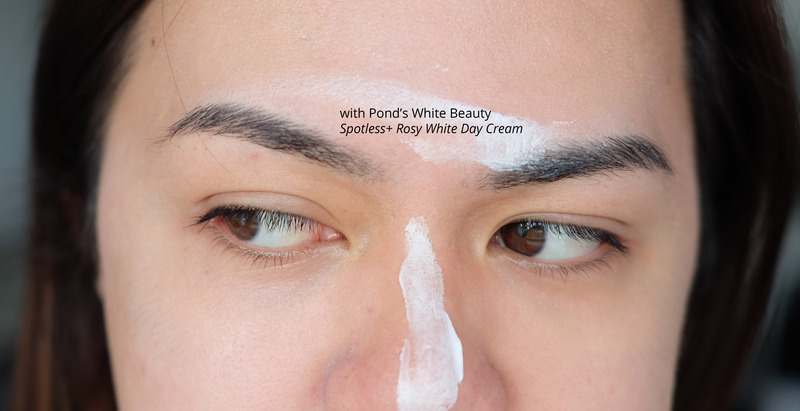 I tried placing the White Beauty cream on my T-zone to test how my spots there will vanish and OMG, it made my nose look illuminated (but not so bright!) and more flawless. After a few minutes of drying, the end result impressed me on how the formula and texture of these products worked on my dull, oily (kinda dry), kind of skin with pores and fine lines. Im gravitated towards using White beauty for everyday and Age Miracle at night since the latter is a bit heavier and treatment-oriented but Im very impressed with these so far. Have you tried any of these? Share your thoughts below and on Sample Room so other girls can know as well!